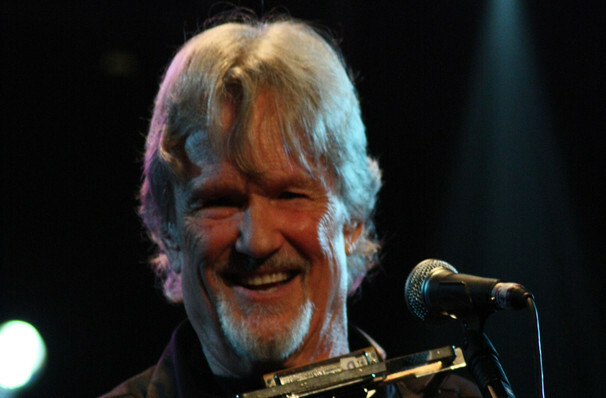 Kris Kristofferson has been a fixture of America's cultural landscape since the early 1970s. After leaving the army, Texas-born Kristofferson moved to Nashville to pursue his love of music in 1965, and soon became a prodigious songwriter, penning iconic tunes for the likes of Johnny Cash, Dave Dudley, and most notably, 'Me and Bobby McGee', which was a number one hit for Janis Joplin. From there his star as a recording artist in his own right was on the rise, as was his career in the movies, appearing in a string of classic flicks like Alice Doesn't Live Here Anymore and A Star is Born. Sound good to you? 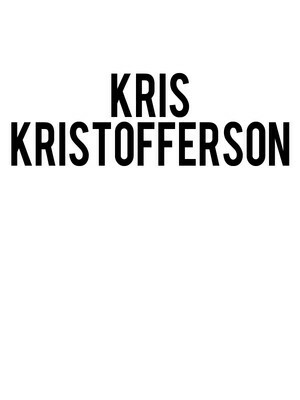 Share this page on social media and let your friends know about Kris Kristofferson at Rams Head On Stage. Please note: The term Rams Head On Stage and/or Kris Kristofferson as well as all associated graphics, logos, and/or other trademarks, tradenames or copyrights are the property of the Rams Head On Stage and/or Kris Kristofferson and are used herein for factual descriptive purposes only. We are in no way associated with or authorized by the Rams Head On Stage and/or Kris Kristofferson and neither that entity nor any of its affiliates have licensed or endorsed us to sell tickets, goods and or services in conjunction with their events.